EXCELLENT IWOULD BUY THIS PRODUCT AGAIN. 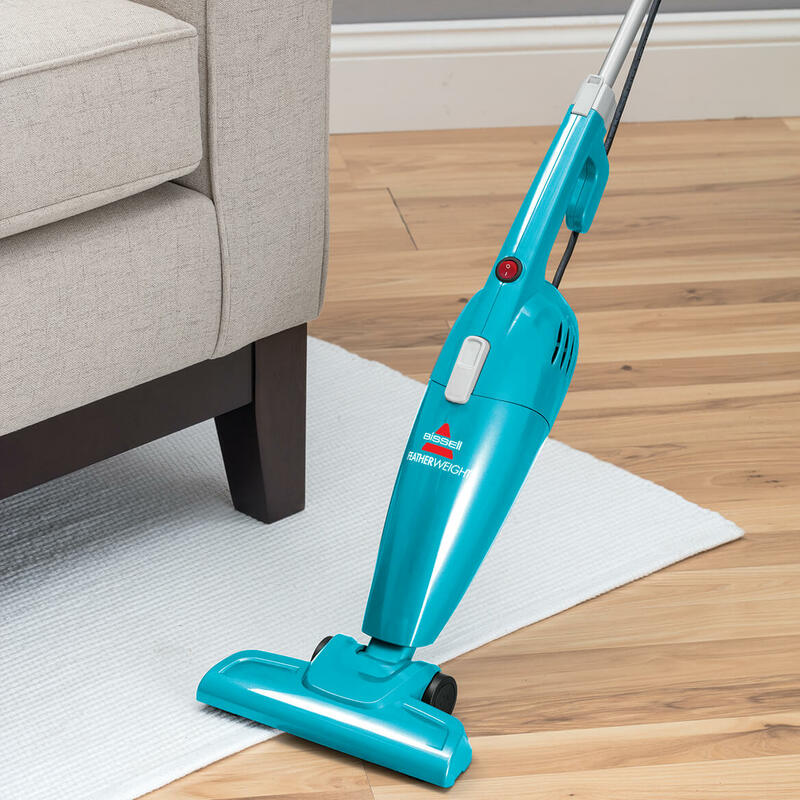 I bought this vacuum hoping it would have the power to vacuum my wood and linoleum floor.It is was wonderful and it has plenty of power for most rugs.The big plus is its very light weight. P.S. I have 2 dogs and 2 cats so i vacuum every day, works great! I was so glad I purchased the Feather Weight Bissell. I highly recommend this little vacuum it is great. I love the weight of the vaccum. I really love this vacuum cleaner. Cleaned very well and fits nicely in a small closet. Perfect for my small apartment. Keep one in the bedroom and one in the kitchen- perfect lightweight for an 85 yr.old to use. The size is perfect. The price is perfect. Very easy to use and to store. Never quite saw a vacuum like this one. Very happy with it. I definately would buy this product again. I have a Oreck that I use on my carpet.It is really good for this.Then I saw this little Bissell and decided I need this also.I have a small dog and I use a walker most of the time.I am 80 years old and need something light.I like to work in my yard and I sometimes forget to clean my wheels when I come in.Well to my surprise this little Bissell will pick up 2 handsfull of dirt and doggie hair.This is a while after I have used my Oreck.Now I have 2 of the best vacuums on the market.Cleaning will now be a breeze. I would definitely buy it again. Wish I bought it sooner. I love it. It is much easier to carry around. It does a great job . I hardly ever use my expensive vacuum cleaner. I am going my friends about this product. I like this vacuum a lot. Very convenient and easy to use. 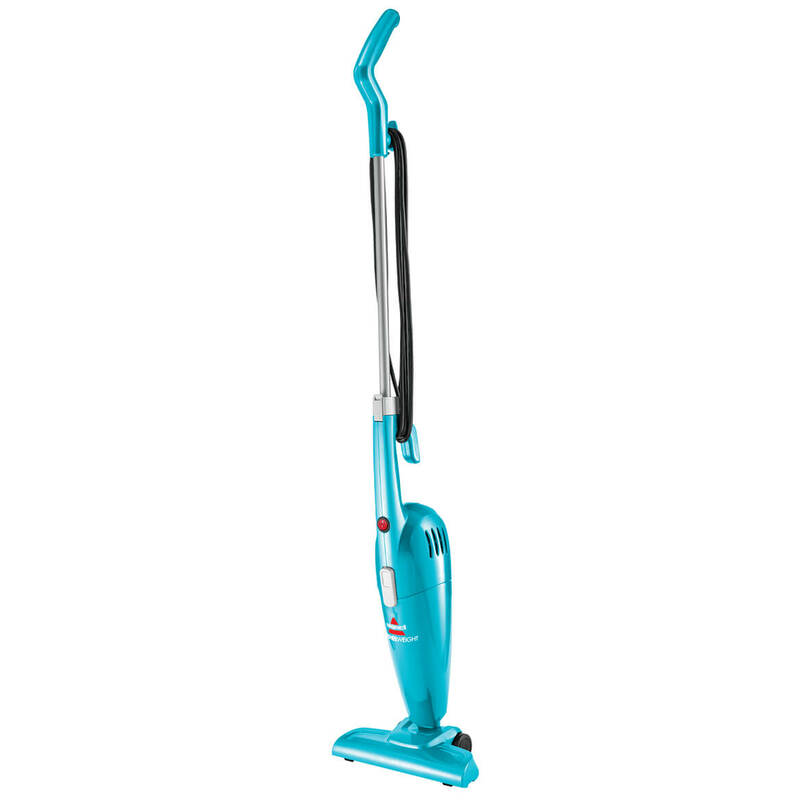 This vacuum is very good for quick clean up jobs and easy to use. It's light weight and easy to handle for someone like me with a bad back. My other had gotten to heavy to push around. My 2nd vacuum, the first one my daughter "borrowed" liked it so much she never returned it. This one will not be loaned to anyone. I am so well pleased. Easy pull apart to use hand vacuum. Lightweight, Easy to use,good quality & picks up trash great! Love how adaptable it is. Especially love the crevice tool which can get into hard to reach areas. Like the fact it is not cumbersome. Extremely light weight and easy to use & empty. it's very easy on my back and picks up great love it alot!! I like it because it's two in one. This is a great vacuum it is a must to have if you own pets. Just what I needed ! I'm disabled and had problems with my bigger vacuum..to heavy and hard to move it around. Bissell featherweight vacuum is just what I needed. It does what I need to be done in t hth e home. Love it! I have a replacement shoulder and a HEAVY Vacuum, I could bit really use it. This vacuum is a blessing to me! I did the whole place! I love it!!! Yes i would buy again. It is very lite weight and easy to use. Nice, lightweight vacuum, with comfortable handle. Great for corners and hard to reach spots. Dirt cup is easy to empty. I use this product for my carpets and it works very well. There is nothing I don't like about it. I love it, Just what i needed. Thanks Miles Kimball. Good for quick pick ups. I have two. I have pets and use most often in kitchen for quick pick ups. Love new vacuum. Easy for me to use. Easy for me to use since i have limited abilities. 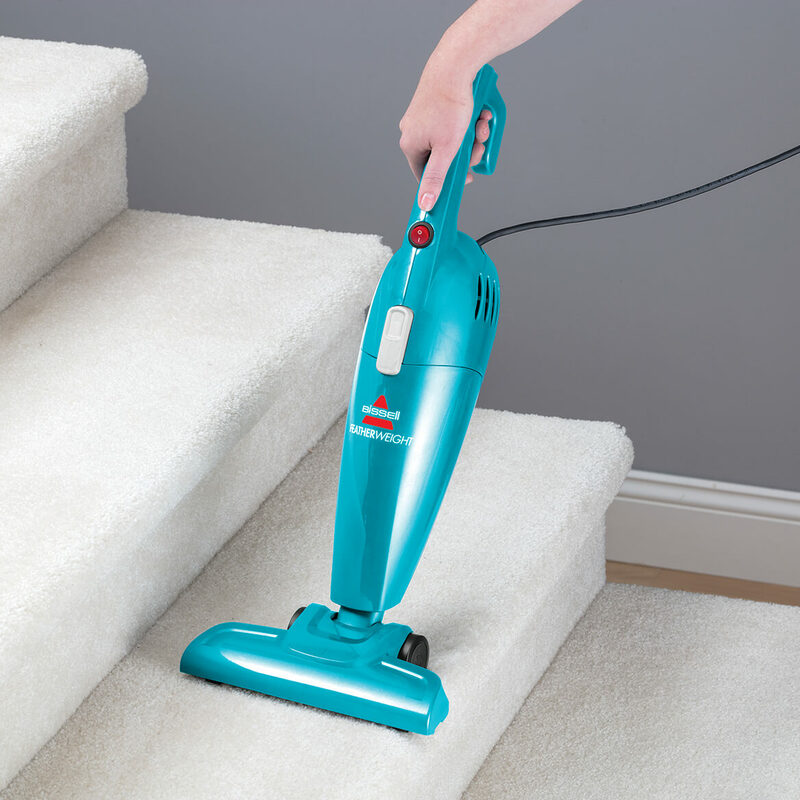 I clean house's for a living & this sweeper is great for the stairs! I have two large dogs and this is great for weeping up hair everyday on hard wood floors and at front door. I am very happy with this product but unhappy with the price,I found it $15 cheaper in another magazine I receive.It works marvelously for me,very light weight which I need.Picks up cat litter like it wasn't even there. Light weight and amazingly powerful. Easy to use. Cleans well the little stuff. Gave this cleaner to my granddaughters to clean their rooms. They use both the vacuum attachment and the duster to get the entire floor and nooks and crannies clean. They love it. It does vacuum very well on all carpet types.the flatter the better.its better using the hand tool for crumbs and hard to reach places and cleaning the car out.I think its a bit over priced since it fails to pick up trash on the carpets I have shag and flat. Looks easy to maneuver and use. Have one but it quit working. It was old so want a replacement one. I love the light weight & works great! It has great reviews, great price! My best friend has one and told me how lightweight it is and works good. My sister has something similar, which I love! Love the light weight and easy use. I am like the idea of the lightweight vacuum which can also be detached for hand vacuuming. It will be used for light vacuuming and I will not have to pull out my heavier vac. Cat hair! My large vacuum is unwieldy when I use the attachments to clean the couch. I have a big Vacuum and I need one to pick up the little stuff when I'm in a hurry. 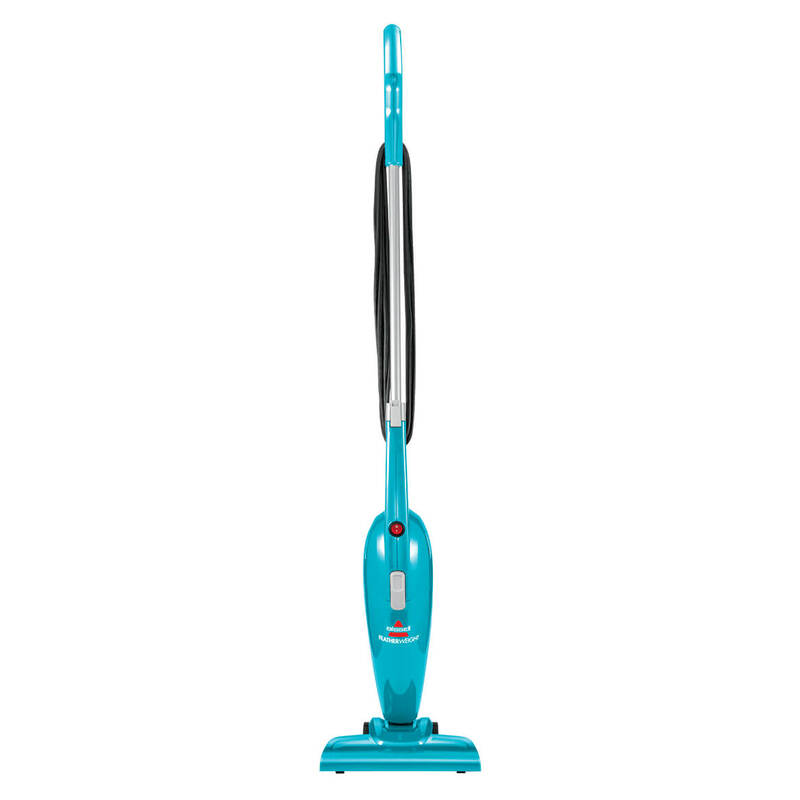 Versatile, flexible lightweight vacuum. May be disassembled and used in a variety of ways. Looks great for small apartments and I like the fact that it is light in weight. The price is fantastic and I trust the brand name of Bissell. Thank You!! I choose to buy this again, because it's the best it really do pick up very good. I and my family will always keep one on handy. I need it and bissell is a trusted name. I am hoping I can use this vacuum on my hard wood floors to clean up the hard to sweep dog hairs. To do light housekeeping and vacuum my car. Needed something for my kitchen & bathroom floors that was better than a broom & easier than dragging out the vacuum with it's attachments. need light weight vacuum for light cleaning. 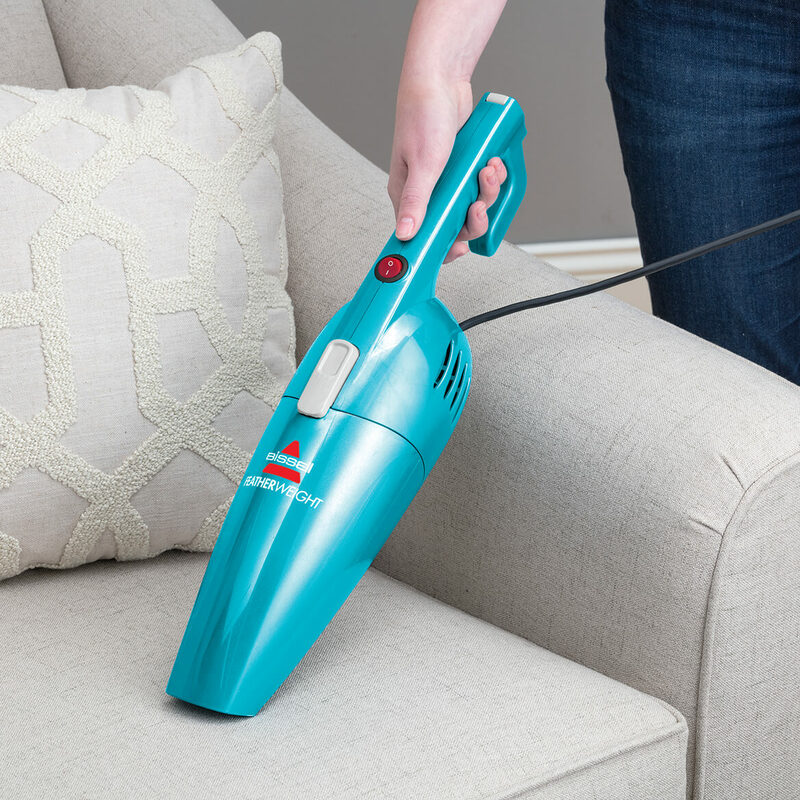 have a stronger vacuum, but not as easy to get out and doesn't fit in tight places. Does this Bessell have a narrow crevice cleaning attachment? The Bissell featherweight I bought a couple of years ago (which I LOVE) had this attachment and I use it all the time. Want another one for upstairs. 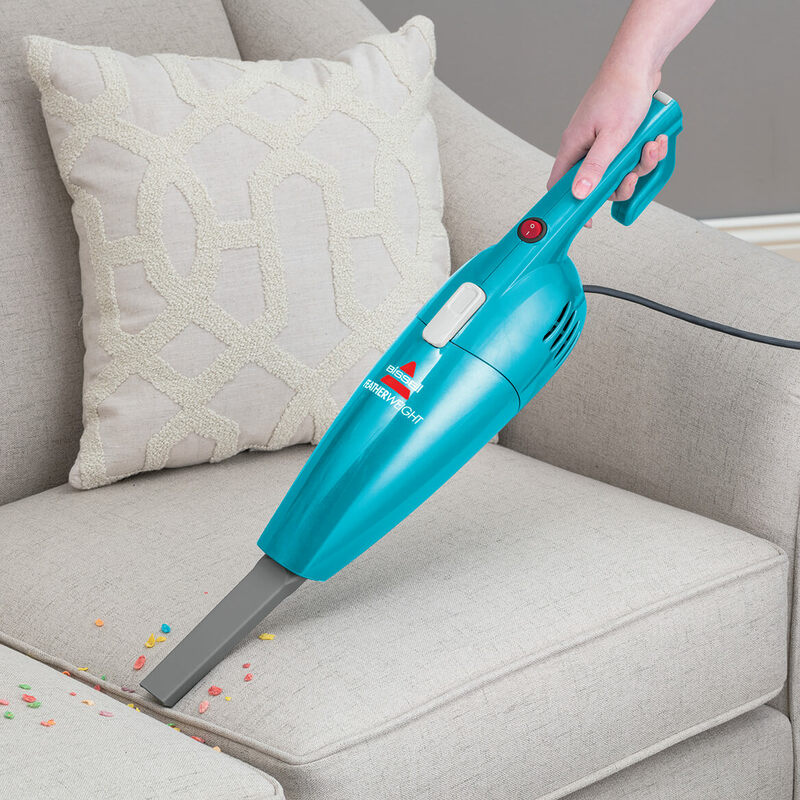 BEST ANSWER: Yes, this Bissell has the crevice cleaning attachment. i use it all the time for my car and it works great. Does it have a beaterbar for carpet?? BEST ANSWER: I don't believe it has a beaterbar, but is so efficient in cleaning, it does not need one. Works really well on carpet and all forms of floors or floor coverings. I am disabled, so the light weight is perfect for me. Thank you for your question. This does not have a beaterbar.We hope this information will be of help to you. No, just vacuum, it is very light duty. I use it for crumbs and grit on my door mats. No. But it works wonderfully for spot vacuuming. will vacuum scratch wood floors or Pergo? BEST ANSWER: The bottom of the vacuum has four small plastic wheels with plastic housing.There is a rubber flange where the brissels are usually on a regular vacuum. I use this vacuum on my wood floor and it has not scratched it. I hope this helps. The bottom of the vacuum has 4 plastic wheels that glide along and a flexible narrow rubber strip length wise . I have wood floors and carpet. Works great on each. It's like a big dust buster. The bottom is hard but doesn't scratch my floors. is this made of plastic or metal? can this machine be used on concrete floors, if so, is it effective?? I can't speak for concrete floors, but It works great on my polished porcelain tile floors and my carpet. Do you have pay pal ? BEST ANSWER: Thank you for your question. You can pay for an order online using your PayPal payment method. We hope this information will be of help to you. Will this vacuum fit under the bed to vacuum? BEST ANSWER: Thank you for your question. Yes, it will work under the bed. We hope this information will be of help to you. What is the weight of this vacuum? Very important for me to know before I consider ordering it. BEST ANSWER: Thank you for your question. The vacuum weighs 5 pounds. We hope this information will be of help to you.